A murdered man is reincarnated as a housefly and seeks to avenge his death. Sudeep is a high profile industrialist who gets whatever he wants and he has a special eye for beautiful women. To get them, he will not hesitate to do anything. That desire gets triggered when Sudeep sees Bindu, a micro artist who runs a non-profit organization. However, Bindu is loved by Nani who keeps following her everywhere. Though Bindu loves him, she doesn't express it to him and enjoys the attention. The story takes a turn when Sudeep discovers the feelings of Bindu for Nani and is unable to digest his defeat. He kills Nani. 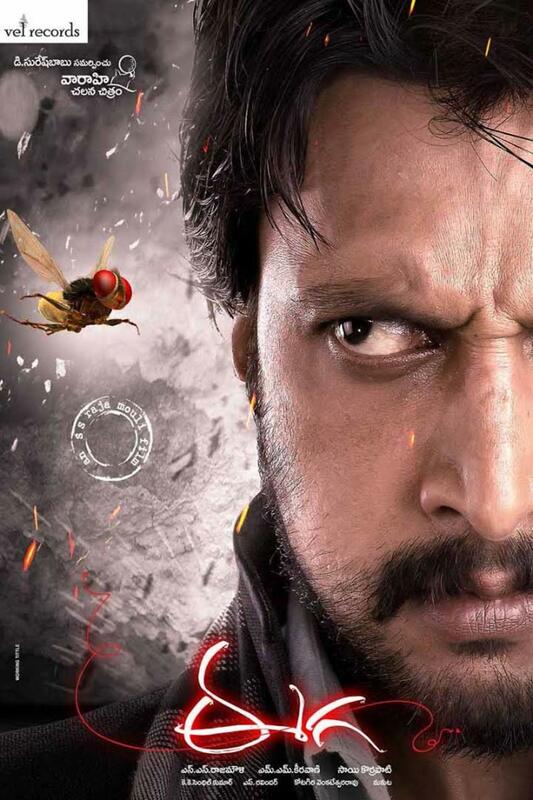 But Nani is born again as 'Eega'(fly) and he wants to take vengeance on Sudeep.